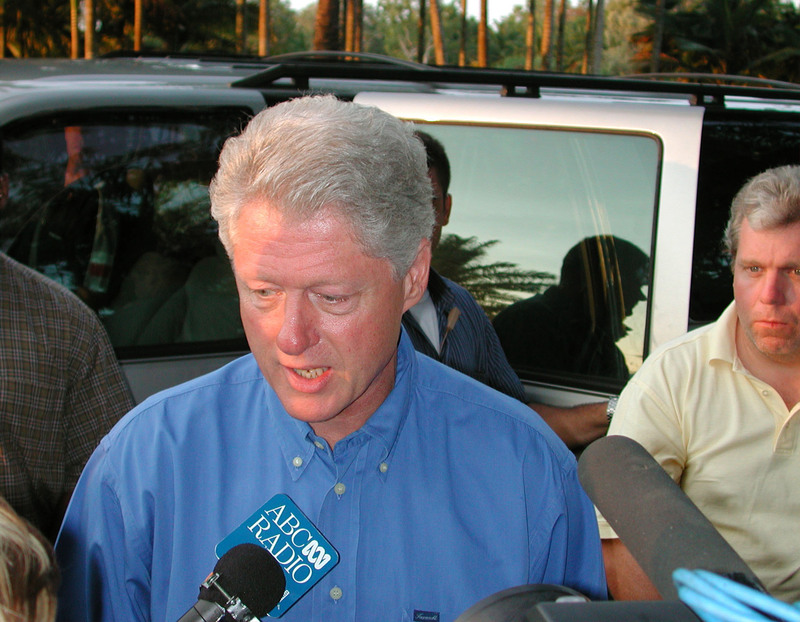 The day before the terror attacks on September 11, 2001, former President Bill Clinton told a group of businessmen in Australia that he "could have killed" the man behind those attacks, Osama bin Laden, in 1998, but he decided against launching a strike out of concern for civilian casualties. It's a startling and tragic bit of irony that remained hidden until Wednesday, when Michael Kroger, the former head of the Liberal Party in Australia, released the audio during an interview on Sky News. Mr. Clinton knew he was being recorded, but the audio was never released because Kroger said he'd forgotten about it until last week. Clinton was speaking to Kroger and about 30 other businessmen in Melbourne for a paid gig on September 10, 2001, when he was asked about international terrorism. "I'm just saying, you know, if I were Osama bin Laden - he's a very smart guy, I've spent a lot of time thinking about him - and I nearly got him once," said Clinton, who'd departed the White House earlier that year. "I nearly got him. And I could have killed him, but I would have to destroy a little town called Kandahar in Afghanistan and kill 300 innocent women and children, and then I would have been no better than him. And so I didn't do it." The 9/11 Commission Report, released in the aftermath of the attacks, documented the proposed December 1998 strike on Kandahar, noting that the Joint Chiefs of Staff advised the president against launching cruise missiles at bin Laden and his associates. Officials were concerned about residual damage, including the roughly 200 to 300 civilians who could have been killed by such a strike. Roughly five months before that strike was aborted, though, the U.S. did launch airstrikes at terrorist bases in Afghanistan and a pharmaceutical plant in Sudan that officials alleged was helping al Qaeda build chemical weapons. Those attacks were justified as retaliation for the bombings at U.S. embassies in Tanzania and Kenya earlier that month. They did not incapacitate al Qaeda, though, as the terror group went on to execute the deadliest terrorist attack in American history on September 11, 2001, killing nearly 3,000 Americans. Bin Laden eluded U.S. authorities for years in the wake of those attacks, but he was eventually killed in 2011 in Pakistan by U.S. Special Forces.